Rupert Pupkin Speaks: Just The Pods Vol.6 ""
I am a HUGE fan of HOME MOVIES from way back so Brendon Small has been a guy that I've enjoyed as a creative type for a while. He also created METALOCALYPSE of course which is really something special as well. Hearing him on my favorite horror podcast talking heavy metal in horror (among others things) was an absolute delight! This feels like an episode that is kind of just for me. 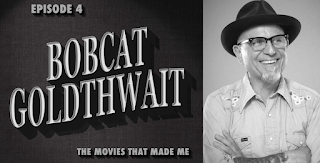 I've been a Bobcat fan since SHAKES THE CLOWN (and before) and he always makes me laugh whenever he appears on any podcast, but this episode also features discussions of live-action Disney films, the robot dog movie C.H.O.M.P.S and so much more. Totally up my alley and a lovely continuation of what has become - not surprisingly - one of my favorite new shows. Leonard Maltin is one of my favorite critics and a man who has been very influential on me for years via his movie guides - so when he started a podcast, I had to check it out. The fact that it features he and his daughter Jessie adds to it's charm as I too have also tried to bring my own daughter into the podcasting world with me - so I can relate to the impulse. 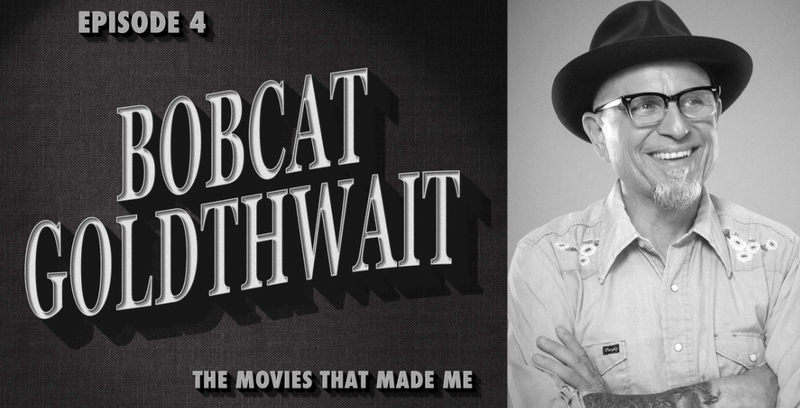 Joe Dante being one of my favorite directors makes any podcast he appears on a must-listen for me and this one is no exception. It's quite wonderful to hear two longtime film buffs go off on tangents about various cinema-related topics, so if you're into that then definitely check this episode out! There are a LOT of horror podcasts out there. Obviously I'm a Shock Waves fan (see above), but sometimes I find it a tiny bit of a slog trying to find other horror film related shows that I want to invest in. After only two episodes though, I think I'm pretty well on board with Collider's new show "The Witching Hour" featuring hosts Haleigh Foutch and Perri Nemiroff. Both ladies are true and dedicated fans of the genre and offer some very on-point insights about the movies they love. That's what I look for in a new podcast - passion and intelligence and this show has both. This discussion of HALLOWEEN H2O and other 90s horror definitely got me jazzed to revisit some terror gems from that decade. While I am only a passing fan of the JACKASS crew and what they do, I did find the first film to be something of a visceral and memorable experience so I was intrigued to hear this discussion. I am also a fan of both Martin Kessler and Leanne K as movie talkers so this was pretty enjoyable stuff across the board.